my life is in danger in Iran then what is that? 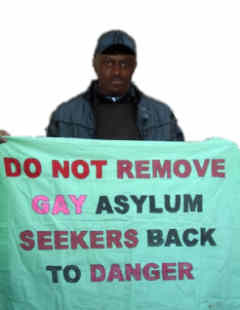 What is the piont of seeking asylum for Iranian Homosexual? They do not want to leave their country, family, friends,...... . Why is that? They put everything behind theirself to go to another country that they anything about it. And what is the piont of tourting, killing, .... of Homosexual if there is not?????!!!! My purpose of this letter is to kind of answering President Ahmadinejad and to say that I do exist as an Iranian homosexual and it does not matter where I am.